Practicality meets style in the Mellerware Milan kettle. 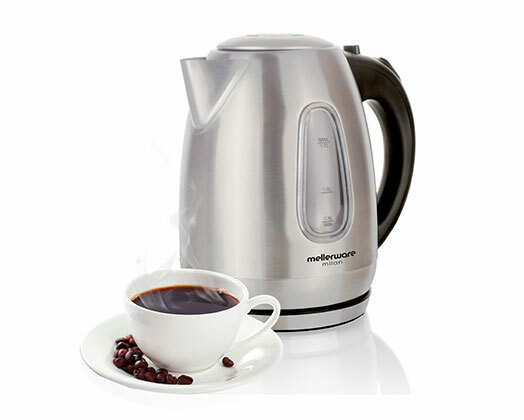 With 1.7L capacity inside a stainless steel enforced body the Milan kettle is a must have for any kitchen. Water level indicator and 360 degree cordless base . The Milan kettle has a boil dry cut out switch for safety and automatic switch off to increase the lifespan of the kettle. The Milan also has a concealed element.